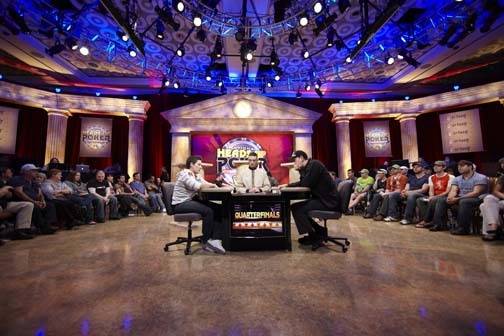 The NBC National Heads-Up Poker Championship will not take place in 2012. 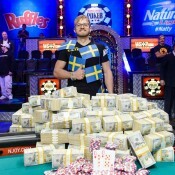 Wicked Chops Poker has confirmed that NBC will not hold their popular National Heads-Up Poker Championship in 2012. We can’t say that this is surprising news, as PokerStars and Full Tilt Poker were the primary advertisers for the event and fronted the majority of buy-in money for the players. Still, it’s yet another blow for the poker industry in the U.S.. 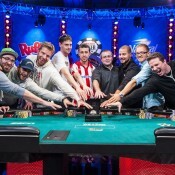 Averaging a 1.5 rating over its seven-year run, the NBC National Heads-Up Poker Championship was consistently the game’s top rated program. While the event will definitely not take place in 2012, NBC has left the door open for its future return. NBC Sports Senior Director of Communications Adam Freifeld told WCP that the network will “continue to evaluate our poker programming” moving forward. Here’s hoping for a speedy return once online poker is regulated in the U.S.. NBCHU was always one of our favorite events of the year and made for “good TV.” It’s list of winners include some of poker’s biggest names, including Phil Hellmuth, Chris Ferguson, Erik Seidel, and Huck Seed. We’ll be writing more about the future of televised poker next week as one of our first Wicked Chops Insider features. Sign up for Insider here. If you love heads up poker games you should try this facebook game. it is called Five-O Poker and it is a new variant of poker for two players only. I vote for more poker on tv. why take it off in the first place? 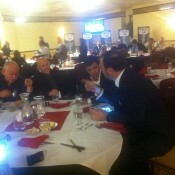 It seems poker on TV has lost alot of the momentum it had a couple of years ago. One reason I don’t watch much anymore is because all the poker players look like NASCAR drivers. The players have all lost their personalities. Watching Brunson with poker site patchs on his hat and arm made him look like a clown dressed up for big business. Poker has lost it’s personality which made it fun to watch in the 1st place. Bring back the players without all the advertizments and I thing you will see an increase in viewers.